Martina Hingis has been questioned by Swiss police after her estranged husband said he was attacked by the five-time Grand Slam champion and her family. Hingis, her mother Melanie Molitor and her mother’s boyfriend Mario Widmer were interviewed at Schwyz canton police headquarters last week, police spokesman Florian Grossmann said Wednesday. French equestrian athlete Thibault Hutin has said he was attacked on Sept. 23 at his home in Feusisberg. Hutin claimed Hingis and Molitor hit him, and Widmer struck him with a DVD player. Grossmann told The Associated Press the canton justice department will decide any possible action. No timetable was set for a decision. Hingis and Hutin were married in December 2010, and their split was widely reported in Swiss media in July. 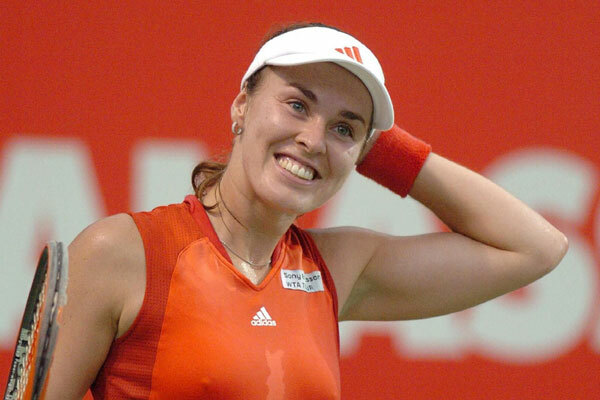 The 33-year-old Hingis came out of retirement this year to play doubles with Daniela Hantuchova at various tournaments, including the U.S. Open.